« Twitter And Other New Updates! Virtual Sale! Fun Bulldog, And Other Updates! Well, the weekend is almost over. I have been busy this morning getting sales set up in a couple of my stores. I am unable to set up a coupon on my ETSY, so if you have an account there, I will post my site, just e-mail me and I will adjust any p[rices to any items you wish to order and you can get the same deals there as in my Artfire, and Zibbet account. Everyone is busy doing their Christmas in July sales events and I am definitely not going to do my best. It is my first time, so wish me luck and please check out any one of my shops, I would really love to get any feedback I can. Hoping your weekend has been as exciting and exhilarating as mine! If not get busy, time is short! 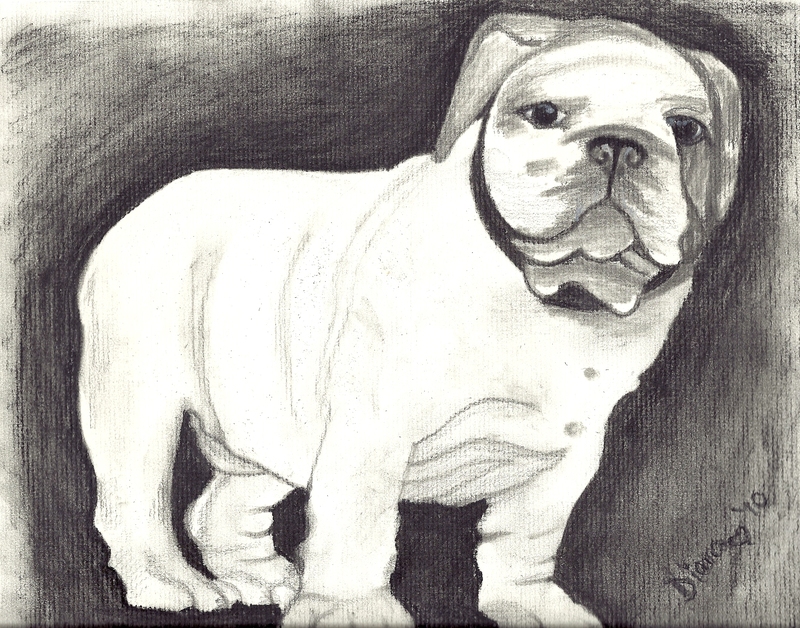 I did finish one bulldog pup picture for the calender one of my business groups is doing I will post it with this blog. I do plan to make at least one more, maybe two, in different styles as well, just to add variety to their choices. When I am done, I might give you all a vote to see which one you would prefer in a calender so I can add that to my partners, and let them know what you think. It is a promo for a charity and we really want it to do well. Once I am finished with the work I will also post you any information on the charity in case you wish to participate, We welcome any help you can offer! I did check my lottery last night and no wins yet, but there is still Tuesday and Wednesday coming up. I know this week, the money would be so helpful. This is one of those weeks or months really, where there just isn’t enough money to make the bills, and not even groceries or gas! Big smile, love to see the way this works out! It will definitely be interesting, I will be sure to let you know how that works out too! Faith is a real bugger, you know? This entry was posted on July 18, 2010 at 3:51 PM and is filed under Uncategorized with tags Bulldog, Business, Christmas, Etsy, Organizations, Recreation, United States, Zibbet. You can follow any responses to this entry through the RSS 2.0 feed. You can leave a response, or trackback from your own site. Very good commentary. The other day I used to be told about this site and wanted to will let you recognise that I have been gratified, going thru your posts. I shall be signing as much as your blog’s feed and can look forward to your next post. Thank you so much. Glad to hear you heard about me and that you found me. Hoping that the future brings you more of what you like to read!